I take pride in my African heritage. Having lived away from Africa for many years, on my odd returns I realise how much I forget the abundance of life there. From insects to fruit, everything seems to be oversized – picture spiders as large as my hand and avocados the size of a small rugby ball or cabbages as big as a basketball. The continent itself is enormous, and despite the abundance and sheer enormity of the flora and fauna, the irony persists: Africa starves. But for a fleeting moment, Africa’s complications can be forgotten in a fantasy; Camden’s Shaka Zulu has successfully actualised. A cavernous entry way down an escalator opens out to an immense chamber bearing African tribe paraphernalia. Richly coloured furnishings mirror Africa’s diversity and indeed, the rainbow nation of South Africa itself. Ear candy forms in deep rhythmic grooves of African drums. Spellbinding. I wanted to transform myself into one of those beautiful African dancers with their Isidwaba (traditional skirt) and bare breasts. Don’t think I’d be too hot with the footwork though... oh what the heck – I’d be better off bathing bare breasted on the beach of Barcelona. The restaurant itself is downstairs and although there were supposed to be canapés served, I saw only one plate in the distance far away. The menu however looks pretty lekker (yummy) and the restaurant named aptly ‘Braai’. I am very impressed with the research and the produce used, in particularly the meat which is authentically African such as ostrich, boerewors and more ostrich. MMMmmm - can’t wait to get a bite into that meaty magnificence. There are three main bars to choose from. I was unimpressed to find that there was no Zulu Beer on the menu. Nonetheless, a cocktail served the same purpose. My palate for cocktails has become more refined through the years. Ho hum. That is all I have to say about that. 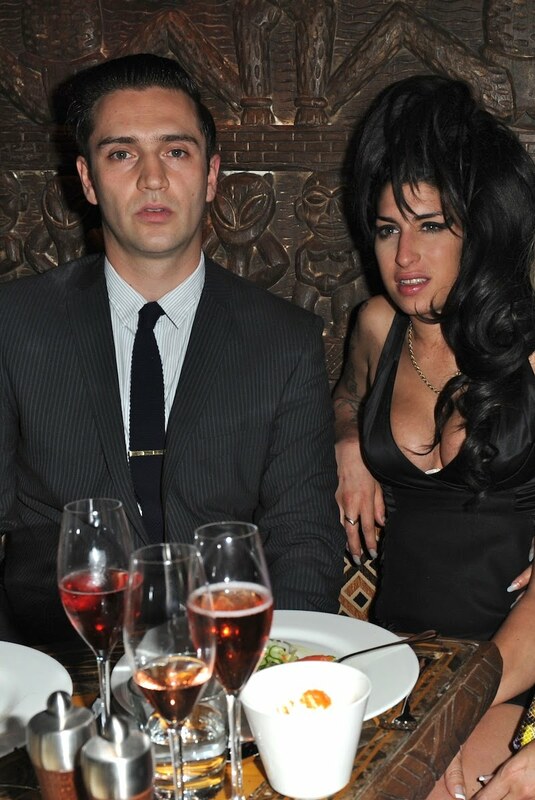 The whole event appeared to be somewhat disorganised. My counterpart and I arrived early and got ourselves a nice spot to park. A few hours into it, the whole table and myself were suddenly sitting at a ‘reserved’ table and we were all told to move away (maybe so celebrities such as Sophie Anderton, Liz McClarnon and Amy Winehouse could use it?). The same usher continued his work by removing my friends from their spot downstairs in the name of ‘reservation’, and proceeded to spill a glass of red wine on my friend’s £100 white shirt; with hardly an offer of apology he retorted ‘well my suit cost £1500’. 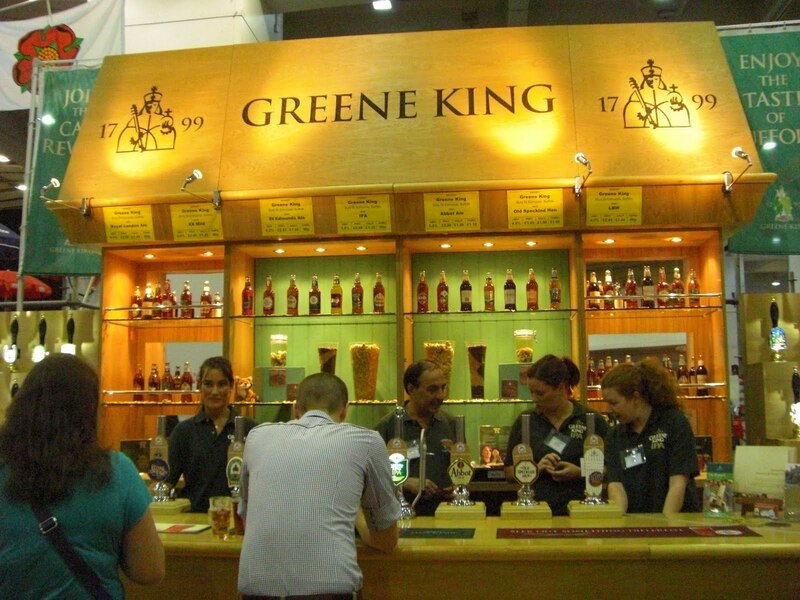 Where is the friendly African hospitality Saffas are so well known for? Utterly disappointing. So, while Africa starves, we argue about suits. Ho hum. In Shaka Zulu’s defence, however, I am suitably delighted to see their powerful contribution to charities in South Africa, having liaised with the current Zulu King himself. Despite the disappointing hospitality and disorganised launch, I won’t ‘dis’ Shaka Zulu altogether (fellow Saffas, you know what I mean). 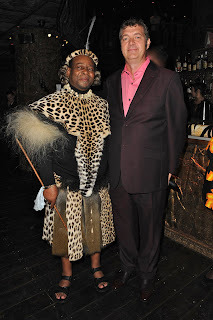 Well done, genius behind Shaka Zulu. You have done well to achieve a high end, classy club resembling Kwazulu Natal’s culture thoroughly. The press release said that it was ‘an invitation to treat’ so it was simply too good an offer to ignore. The central Greek Street location of Zebrano in the West End can be found in the hub of local restaurants vying for a potential customer’s attention, so low cost food in the middle of a double dip recession seemed like a good idea to say the least. Zebrano’s red and black colour scheme was the first thing to stand out as the comfy leather sofas and mirrored walls added ambiguity to its appearance; was it a club, bar or restaurant? 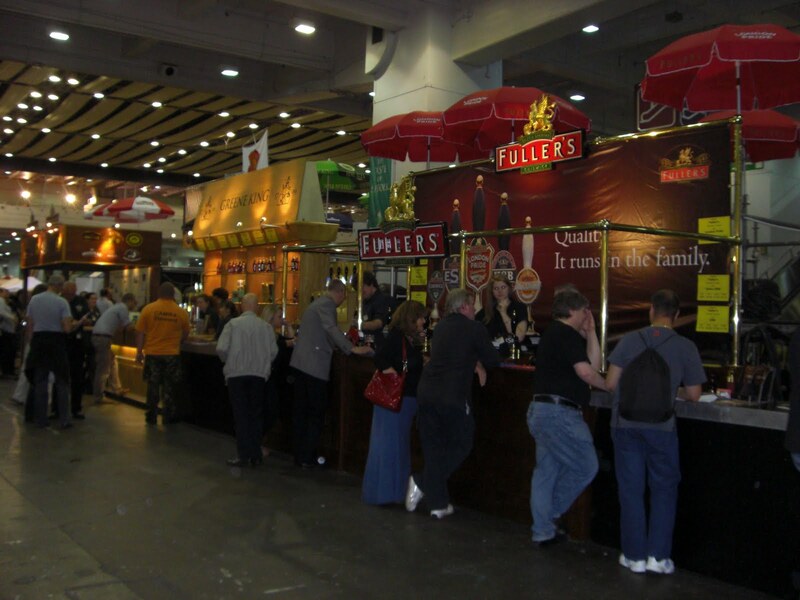 Situated on the ground floor, the heavily stocked bar was an invitation in itself for a good night out. A handful of high tables lined the wall opposite the bar but it wasn’t until a walk to the back of the venue that the dining tables were noticed in their entirety. My date and I were welcomed as we entered, and were then seated at the front near the main entrance. 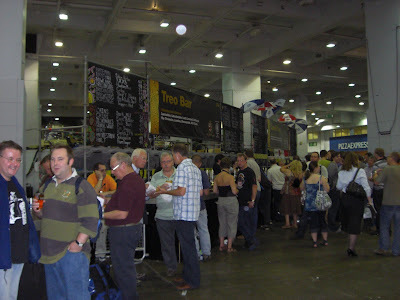 Sitting opposite the bar, the hustle and bustle of the customers coming in and out was somewhat distracting. We were given the menu and explained the deal: (on Wednesdays) order your chosen dishes, eat, then receive a bill with nothing on it. We were then to fill in what we wanted to pay and that’s what we would be charged. Sounds simple enough. With a glass of white and a nice cool beer on the table, the new tapas menu looked appetising and well, inviting. We opted for some chorizo sausage, grilled meatballs, vegetable gumbo and calamari rings. The food was quick to arrive and the service was pleasant. The gumbo was by far the most delicious tapas but the sausage was overpowered by its soy sauce complement, making it a little soggy. Another beer and wine later and it was time for the bill. No fuss, no demands, just what we wanted then an exchange of pleasantries and we were on our way. A great idea for a midweek treat and an ideal invitation just before pay day that will keep tummies from rumbling – just stay away from the chorizo. It may all seem like a long time ago that Spain stroked in the silky smooth winner against their rather more “physical” cup final opponents but those nice hombres y mujeres down at El Pirata De Tapas are continuing to encourage London to celebrate. On the basis of the set meal being served there, Mondays to Fridays lunch and dinner, until 31st August 2010, it would be sensible to cast any lingering resentments aside and get stuck in. After negotiating the infamous, Badminton-cross-country entry door arrangements and being charmingly greeted by the staff, the Menu Del Mundial begins with a celebratory glass of Cava accompanied by a selection of cold meats, creamy aioli and fresh bread. 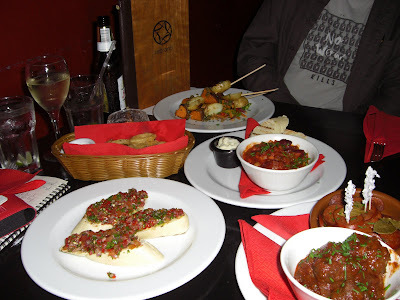 Then, two flights of tapas, each comprising three dishes. First up, Broken Egg/Serrano Ham/Potatoes, Grilled Chorizo and Paprika Crispy Fried Squid. The broken egg is formed generously in a cutter and bears resemblance to a rustic undercooked tortilla; no harm in that. The chorizo is sliced and grilled and copious. The squid is fine. After that, Pork Belly/Parsnip Puree/Red Wine Pear, Fried New Potatoes/Mojo Picon Sauce, and Beef Croquettes. The pork belly is the centerpiece and rightly so. It is soft, unctuous and delicious and there is something approaching crackling atop it. Its companions suffer by comparison: a bit too salty and too like what has come before. Neither of which complaint can be leveled at the dessert which is fresh strawberries with a foam made of strawberries, sugar and cream. Refreshing. Last Monday, El Pirata De Tapas was full; so bookings are strongly recommended. It would seem that The Betjemen Arms has come up with the perfect summer combination. 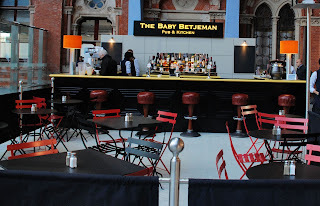 This clever little St Pancras boozer has managed to nab one of the Ping-Pong tables that have sprung up over the capital thanks to a group of lovely people behind the Ping! initiative, which is encouraging us Londoners to try our hand wielding one of those natty little bats. Couple this, the original beautiful game, with a selection of ciders and ales and you’re onto a winner. Pity then, that when I arrived stretched, limbered up and ready to do battle in the table-tennis domain, I found that the table was not actually within grabbing distance of the bar – in fact it was positioned in the station itself. Unsurprising, then, that greedy ping-hogs made it impossible for us to demonstrate our exhibition-standard strokes for anything more than one short game (it wouldn’t be sporting of me to give away the result – suffice to say that a few glasses of wine didn’t exactly improve my partner’s typically whippet-fast reflexes). Sadly, I had missed the ‘challenge the barman’ competition that had pulled in the crowds earlier that afternoon, a match that had – somewhat suspiciously – been won by one of The Betjemen Arms’ managers. Was there foul play in the air? All that frenzied sporting activity works up quite an appetite, and the pub itself is more than capable of providing high-carb victory fodder, all nicely washed down with those English ciders and ales. Whenever people tell me they can't drink because they are on medication or because they are having a break from booze for health reasons, I always get in quick with the quip: “Can't you have gin? It's medicinal”. The red-nosed wrecks that emerged from Victorian gin palaces would probably have a word or two disagreeing with me on that but somehow I just don't see how a drink so perfumed and sweet-smelling can ever be bad for you? Especially when nine times out of ten it's drunk with tonic water, which is a) way healthier than sugary lemonade and b) called TONIC water. Think about it. Whisky, vodka and even (white) rum just aren't a patch on the big G.I.N. In the past, people have scoffed at me when I've ordered it at a bar and it's still a tricky one to order at a gig but places like Calooh Callay, serving gin in teacups, have given the drink a new trendy lease of life. Gin connoisseurs will think of Bombay Sapphire as the glitzy gin to drink. 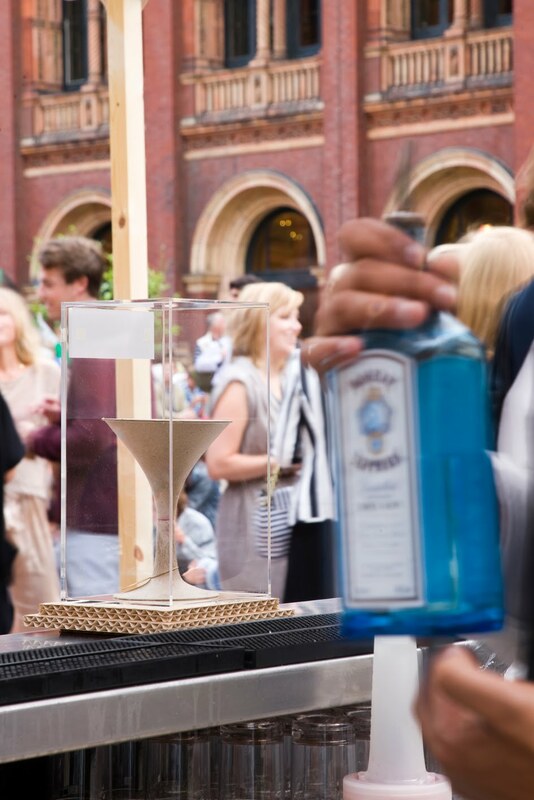 It's sparkly blue bottles demand to be served at parties and glamorous occasions, not kept in the airing cupboard with the Christmas brandy, and so it was fitting that at the Victoria & Albert Museum's Summer Camp at the end of July, Bombay Sapphire provided the pop-up bar. 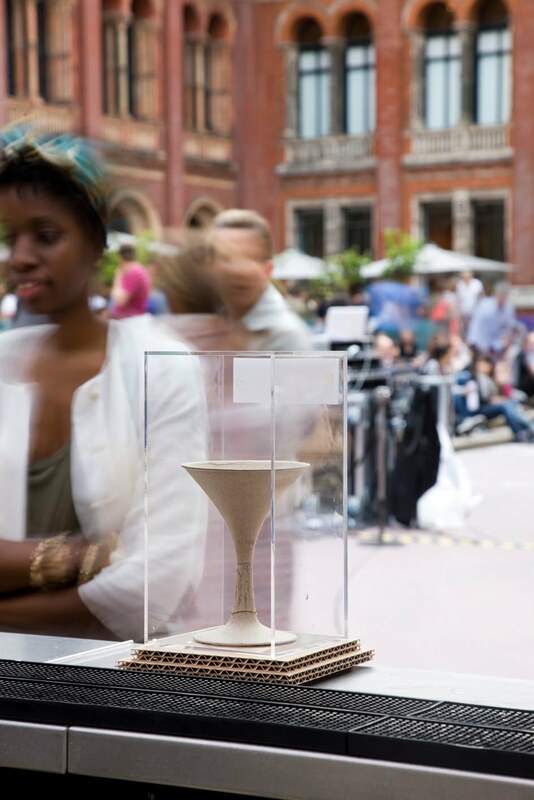 The wider focus of the V&A's summer camp was sustainability and Bombay Sapphire's pop up bar promised to serve drinkers their beverages in cardboard martini glasses. Unfortunately, the 'glasses' were stuck somewhere in shipping. No doubt a PR nightmare that was speedily fixed with plastic, not-so-sustainable-oops glasses with brown paper artfully wrapped around the outside. Still, there were a couple of prototypes to admire and the bar was decorated with cardboard and green and black umbrellas above it, neat. It was still a bar serving gin though so my disappointment at the lack of cardboard cups was short lived. I could after all have popped back to Tesco and bought some party cups but I don't know if that would fit with Bombay Sapphire's design-led branding. 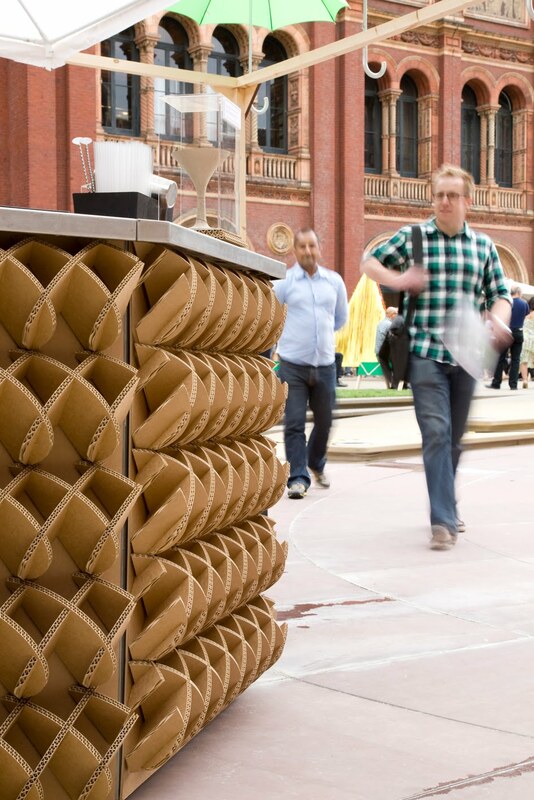 It would also be a disservice to the designer and creator of the cardboard martini glass creations, Giles Miller. The artist works exclusively in cardboard and has worked with Stella McCartney and regularly designs cardboard displays for Selfridges homeware section. "The manufacturing process is the same as egg boxes. There's no gluing, it's essentially cardboard packed together," he explained. Adding: "The martini glass is made in two parts then stacked together so the stem had to be thicker than a normal glass stem to allow this. It's totally waterproof but also biodegradable." Drinkers will be able to keep the brass tag that's hung around each glass with Bombay Sapphire's logo on it. All very worthy and impressive but now to the best bit: the gin. My sapphire summer gin punch was divine. A mix of gin, claret, iced tea, apricot brandy, mint and sliced fresh peaches it didn't take long to get over the no-show from the novelty glasses. Although bigger vessels would have prevented the need for so many top–ups. My friend's Pom Collins, with pomegranate juice was fresh with a great kick to it too and the best thing of all is that Bombay Sapphire are going to have to hold another party when the long-awaited partycups, I mean martin glasses, arrive from China. 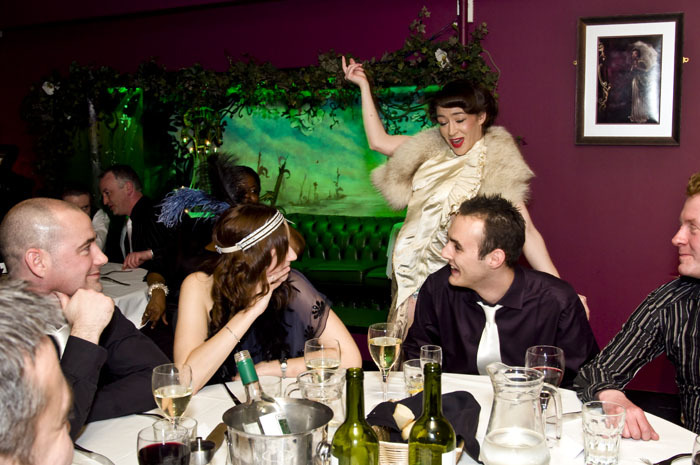 The company are holding court at Saf bar & restaurant in Shoreditch later this month. I wonder if they'll have cardboard jugs? What better way to start the week than guzzling pizza and tasting wine?! Before I even had a chance to enter the office, I had the great opportunity to assist the legendary Fire and Stone with their launch in Spitalfields. If you’re a pizza fan, you’ve just gotta try Fire & Stone. I felt like Charlie in the Chocolate factory, except I was Pip in the pizza parlour. And I was certainly one up on Charlie. I could eat what my heart desired and all that tickled the fancy of my eye, with no menacing consequences, but that of the expanding waistline – hang on, no, the hips, in my case. My first tickle was the view from the outside, where the dough-making process was on display for all to see through a glass wall – a nice trick to tempt, and to prove how fresh the dough is. 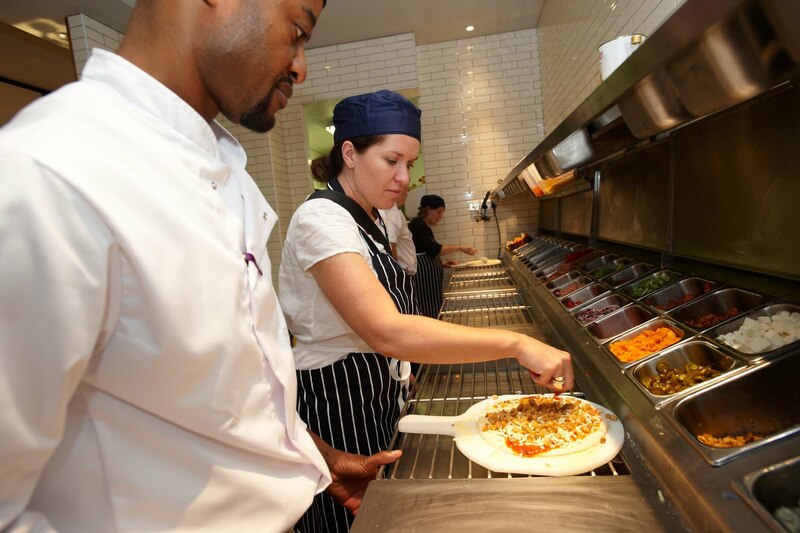 Every ingredient used is freshly made that very same day – even the sauces which can take anywhere between 4-6 hours. I take my hat off to you chefs who are worth every inch of your toque. So other than the quality of ingredients used in the pizzas, how else is this restaurant unique? The menu is global. Try creative combinations from Africa, The Americas, Australasia, Europe and Asia. My pick of the day is the Peking pizza with duck and spring onions. The Koh Samui is another hot choice. I was, however, disgruntled to find nothing from New Zealand – I mean ‘Australasia’? Hmph. A chef I am not, but renowned New Zealand lamb and dairy must have a place somewhere on the menu? A highlight of Fire & Stone in my opinion is its ‘family friendly’ ethos. It welcomes those with bambinos. Kids eat free throughout the school holidays, and there is a kids’ menu with activities to keep children busy (a rarity in London, as far as I know). 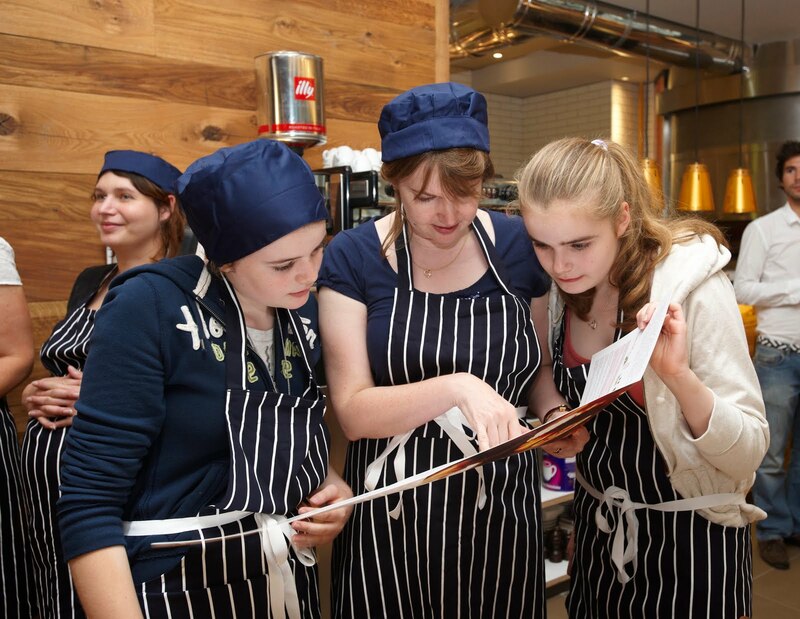 The staff are passionate about their work, and it is obvious – they source each ingredient to ensure quality of product. It is a long process, and clearly worth it. 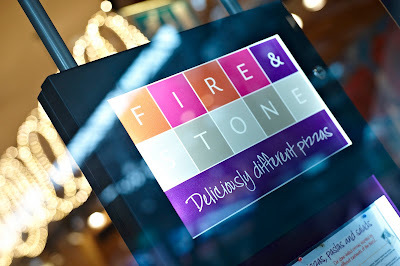 Fire & Stone is a scrumptious, truly healthy choice for the pizza eater. Our sister site, Fluid Edinburgh has been hanging out high above the Scottish capital lately. Scotland is reputed to be the land of food and drink, which is why 2010 has been designated Year of Food and Drink, the first of a series of years focusing on Scotland’s best features. From the 1st to the 31st of August, inhabitants of Edinburgh are given the opportunity to celebrate their pride for their nation’s culinary expertise, as Skyscanner presents the very first edition of Edinburgh’s Festival in the Sky, made possible by event organisers, DADA Ventures. 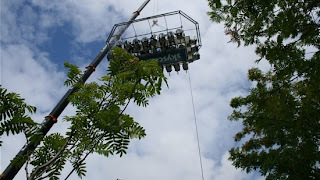 This thrilling experience consists of dining 100 feet over Princes Street Gardens, while enjoying a stunning panoramic view of Europe’s most spectacular capital. How does this work? A 22-seat dining table is lifted up in the air by a massive crane, leaving it to dangle over the city for about 25 minutes, after a quick safety briefing by the sky hosts. Up there, one can enjoy a delicious breakfast, lunch or dinner skilfully conceptualized and created by Cook School Scotland’s top chefs, led by Britain’s first 3 Michelin starred Chef Steven Doherty, who is also the festival’s Chef Director. The food is freshly cooked at their headquarters, transported to the site in West Prince’s Street Gardens, and served to guests on the highest and most unique dining table in town. Guests arriving between 10am and 11am can enjoy an innovative breakfast composed of Scottish terrine, bilini with smoked salmon mousse or ham cream cheese mousse, and Dundee cake with Patterson’s marmalade and butter. If that sounds lovely, the light 12pm to 4pm lunch is exquisite. On the menu: pressed pork and caramelised shallot terrine with baby capers and whole grain mustard, smoked Scottish salmon with plum and apple chutney, mixed leaf summer salad with a soft herb dressing and a delicious selection of Arran cheese with Oatties. High tea is from 5pm to 9pm, and is similar to the lunch dish, with the added Rannoch Smoked Venison and Celeriac remoulade. 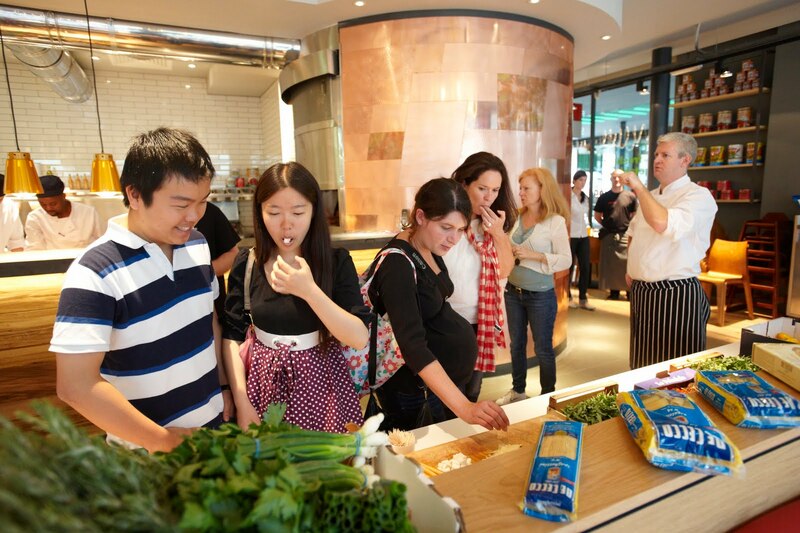 Between breakfast and lunch times, and again between lunch and dinner, diners have the possibility to enjoy a sky-scraping Gourmet cooking demonstration and taster given by a Cook School Scotland Chef, along with a whole 45-minute sky experience and light dish. While booking, guests may select the vegetarian option for any meal. Before and after every lift, diners can make themselves comfortable in the Sky Gardens lounge and enjoy a cold glass of wine or champagne served by an incredibly friendly festival staff. Exciting special events are also scheduled during the first half of the month. On August 3rd at 7pm, Glasgow’s very own award-wining comic Hardeep Sing Kohli will rise up with 22 lucky guests as the sun starts to set upon the city. Then at 10:30am on August 6th, the fortunate folks who bought tickets before they sold out will have their first laugh of the day at the Faulty Towers Dining Experience, Australia’s world famous show, brought to the heights of Scotland’s lovely capital. Finally, on August 12th, 14th and 16th at 8pm, diners can enjoy the sweet sound of Edinburgh Studio Opera in the sky! Who knew so much could occur so far up over a city’s skyline. Come rain or come sunshine, the festival will go on everyday as planned, for a rainproof cover protects the dining table. This is Scotland, after all. 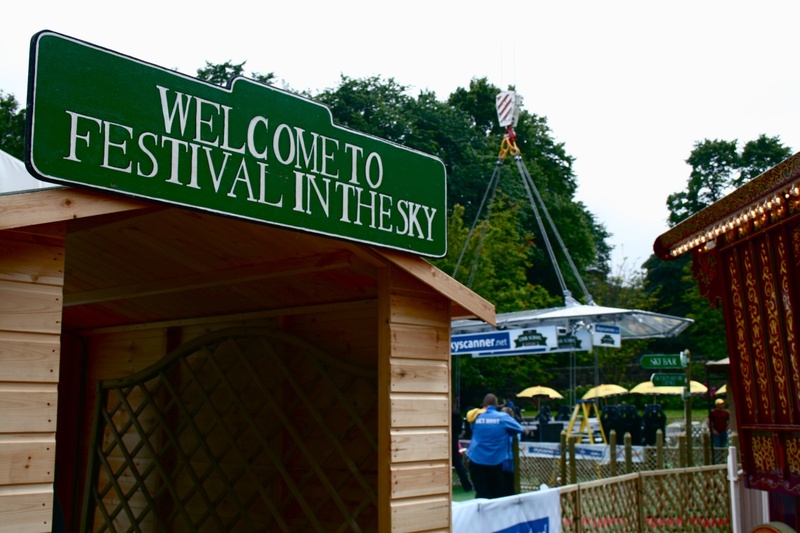 Organisers say a minimum of 12 to 14 lifts are expected to ascend, although Festival in the Sky has the capacity to manage 23 “flights” a day. This makes it possible to dine around a full table, or in small groups. By the end of the month, an estimated 682 lifts will have taken off. 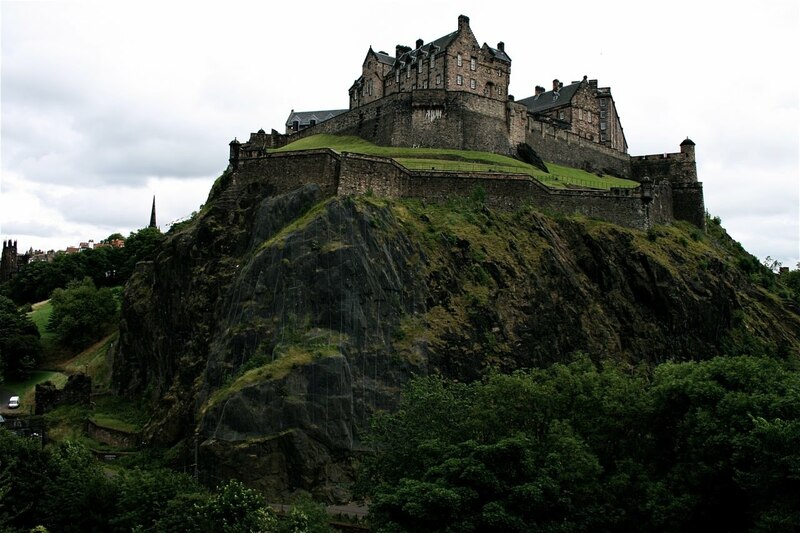 As the table rises, sky hosts give their guests a brief tour of Edinburgh, finger-pointing The Mound, The Royal Mile, and needless to say the imposing and dramatic Edinburgh Castle. 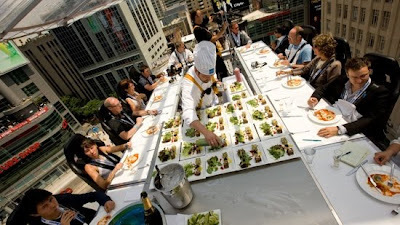 Once the 30m point is attained, the platform stops rising and dangles over the Gardens, while guests enjoy their rotating seats and their delightful meals, while mingling with other culinary enthusiasts. Organisers suggest warm layers of clothing, for it could get a bit chilly up there. Also, in case of wind, it is advised to hold on tight to the champagne glass (we wouldn’t want to lose that). But no worries; if anything does fall, it lands safely within the secured parameters. 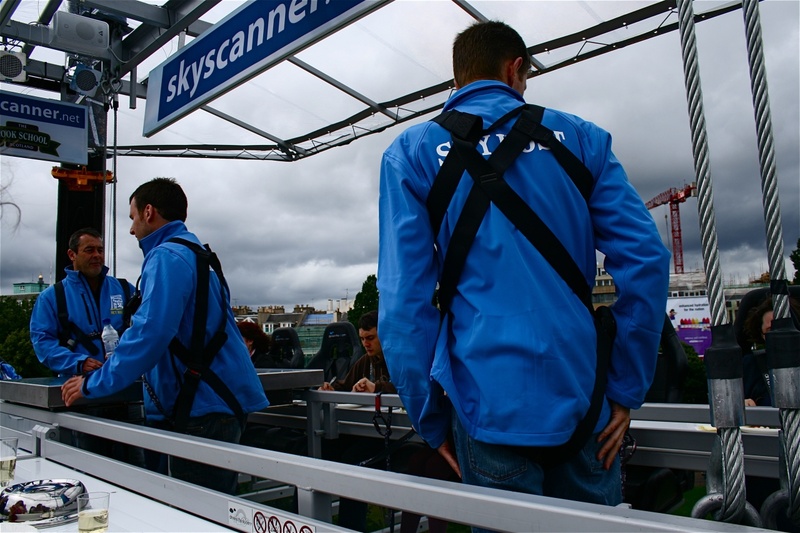 Festival in the Sky may be just premiering in Scotland, but has successfully taken place in 30 other countries all over the world, in major cities such as Paris, Las Vegas, Monaco and Istanbul. It’s about time Scotland’s inhabitants and visitors are given the opportunity to experience the thrill of high dining! Guests will without a doubt enjoy the event as much as organisers took pleasure in creating and preparing it. Happy sky-dining!